Here it is all together! 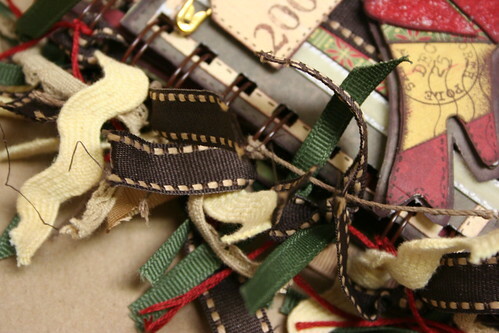 I bound mine with a Bind-it-All and a 3/4th inch brown o-wire. Then I tied a few yards of ribbon, twine and embroidery floss around the rings to give it some flair. When I put my pages onto the wire I layered them as I thought they would look good. Some pages that clearly ran together because of certain design elements I kept on the same level. I staggered things where I thought it would look good and tried to keep a balance between up and down. Just play with it and see what works with your pictures best. I just tied them on at random, trying to mix and match colors and textures. Here is how it all turned out. 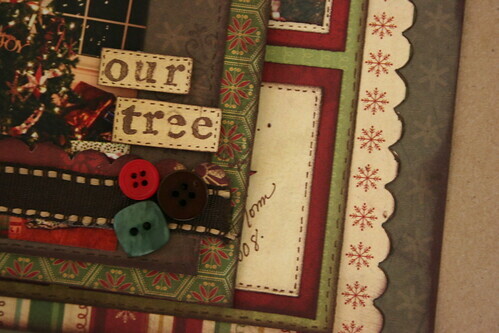 When completing the album I added three things: photos, journaling/titles & photo mats. Adding in photos is pretty simple. Find the shot you like that fits and go with it. 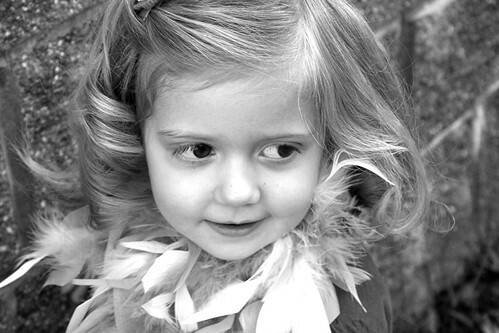 If you are having trouble with colors being off, you can always convert to black and white or sepia. You will noticed that when I chose my photos I sometimes put two vertical wallet sized photos where you would expect one horizontal 4×6- it turns out I took a lot of vertical shots this year, and I could include more this way. Other pages I off set the photo and opted not to fill the entire mat, this just happened to work with my photos and how they were cropped. You can mix and match and make the space work with your photos. 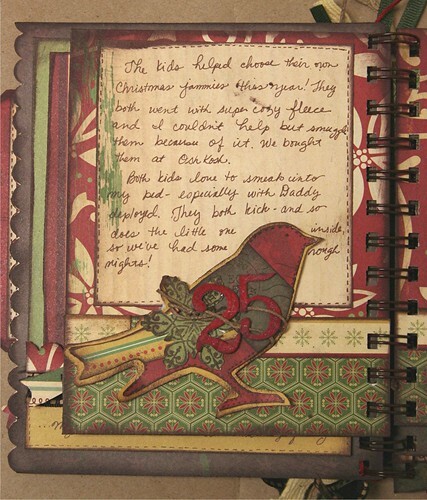 Journaling was important to me, as I enjoy that part of the process and like to tell the story. 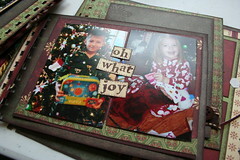 I used several photo mats as journaling spaces, writing in the little memories and adding details of who did what. 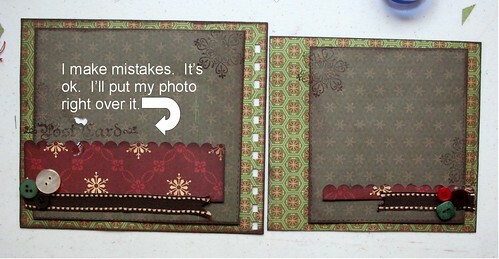 You could use different photo mats, or you could put photos where I put writing. No biggie. Whatever works best with your memories. You can also squeeze a little extra verbiage in by writing around the photo, along side of a photo, or even by making a pull out tag or flap behind a photo. 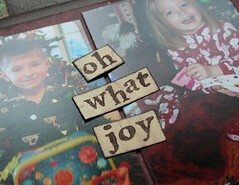 You may also want to add a few small, stamped titles overlapping your photos. There it is just stamped and tossed on the page. It works. And then there it is with inked edges- better. The next shot it has the faux stitching added- even better! Here it is all gussied up- AND adhered with a dimensional adhesive to really let it pop. The process takes a little longer, but I think it is worth it. Another bonus? 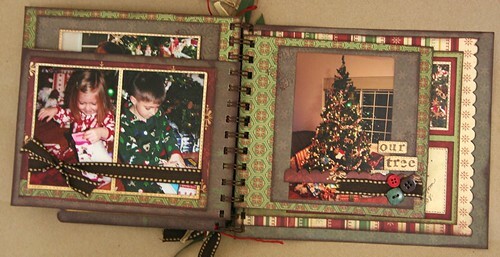 It ties in with the tiny photo mat on the opposite page of the spread. 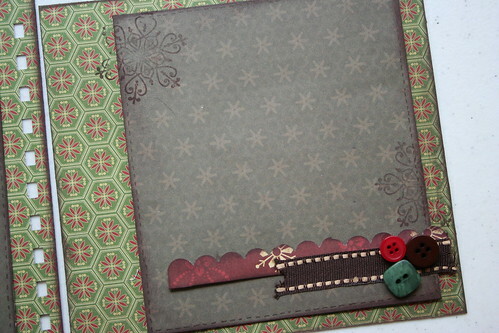 Same faux stitching, same color cardstock, etc. A little more detail and a little more balance, and the spread looks good. Most of the pages have rather obvious spots for photos, but your photos may not fit these spaces perfectly. They may also look too busy against a playful background, or the photo itself may be a bit dark and look better with a lighter mat helping it to pop. I matted many of my shots, mostly using a light green or cream. I don’t have an exact measurement for these. I think most of my little mats ended up being about 2 millimeters, just big enough to be seen and inked. On some, I made them big enough to add a little faux stitching as well. 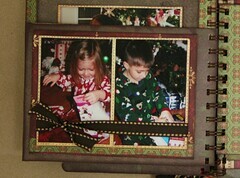 I also used a dimensional adhesive when adding many of my photos. It helps them draw attention and not get lost in the business of the album. Before you print your photos, try cropping them to size on your computer first. This will save you a few dollars in photo processing and make the cropping process very quick when you go to add them in. 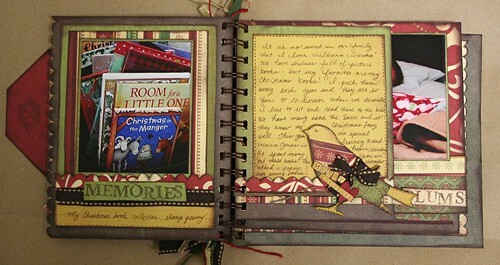 I am excited to pack this book away with Christmas decorations and discover it again next year! I hope you enjoyed creating along with me and seeing a little bit of my process. Merry Christmas, everybody, and have a very Happy New Year! 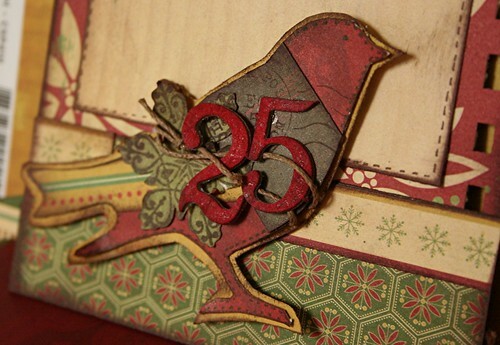 To begin trim yourself a piece of Wrapping Paper to 6 x 5 1/2. This will be your base. 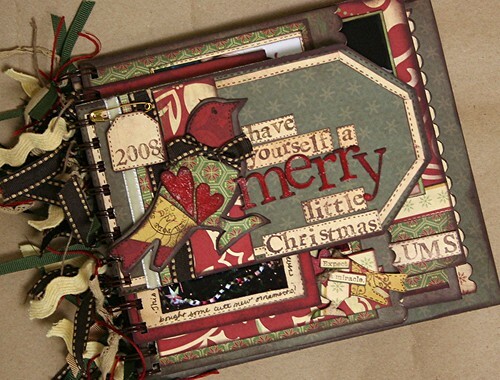 Add a 5 x 6 pice of Merry & Bright over it, running the full length. You should only see the back of Wrapping Paper about a quarter inch on each side. 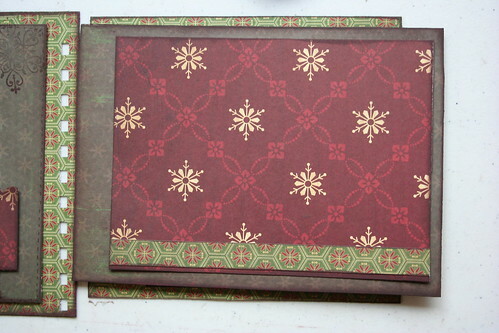 Now cut a piece of Yuletide 4 1/2 by 5 inches, and adhere it with pop dots. 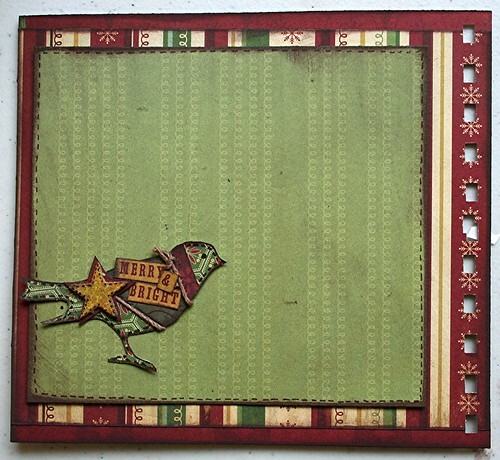 You will want to add some faux stitching around the edges of this mat. 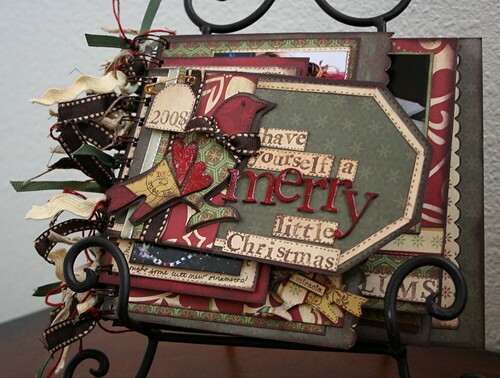 The bird is our Merry & Bright bird from the bird tutorial. 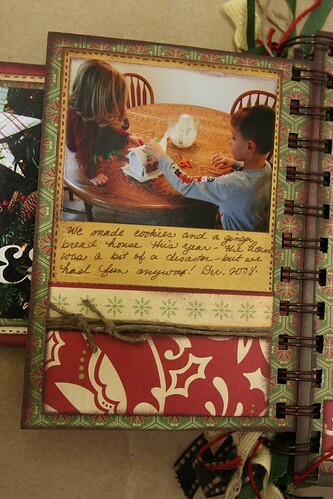 You can put him anywhere that works with you and your photos or journaling. Next page! This is your biggest page as it is the base of the entire book. 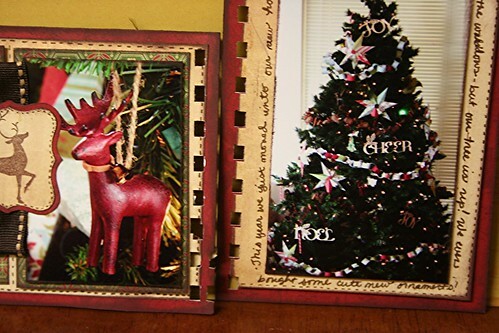 It is 7 x 8 inches out the reverse of Reindeer Games. You will want to trim yourself a piece of Merry & Bright to 6 1/4th by 7 1/2. 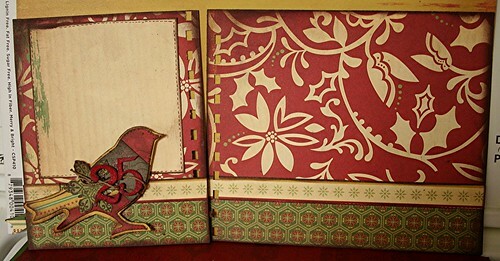 I admit I fussy cut this paper to ensure that I had pretty red snowflakes on my edge where I planned to do my scallops. 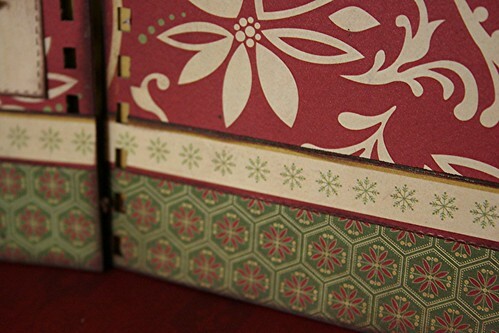 The easiest way to do this is to take the entire sheet of paper, scallop up the side making the snowflakes extra pretty, and then trim the rest to fit the page. I’m persnickety like that. 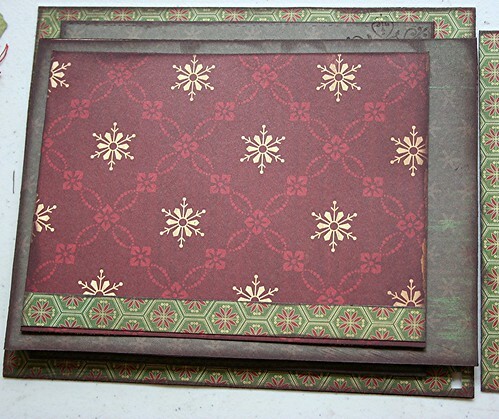 After your scallops are perfect, trim up a sheet of Yuletide to 5 1/2 x 7 inches. Adhere this to your page with a dimensional adhesive. At this point, you will want to punch your holes. 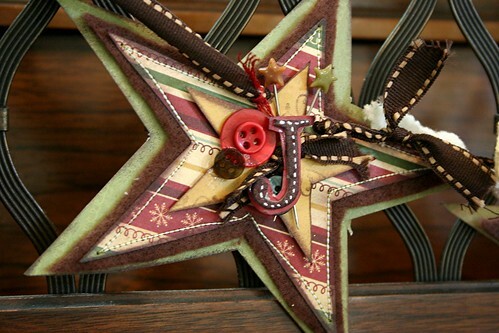 Once you have punched those holes, you will need to add some faux stitching around the Yuletide, only do the stitching on the outside of the holes, not the inside. 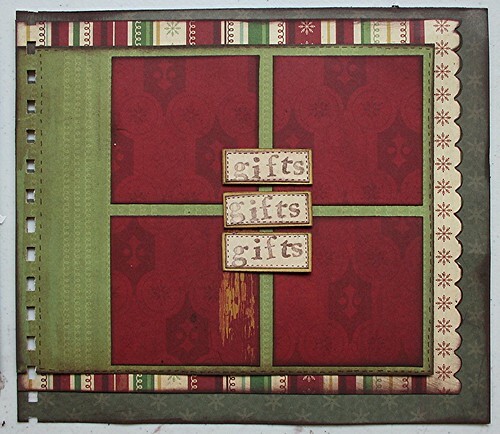 Now trim up 4 red Wrapping Paper squares at 2 1/2 x 2 1/2 inches. 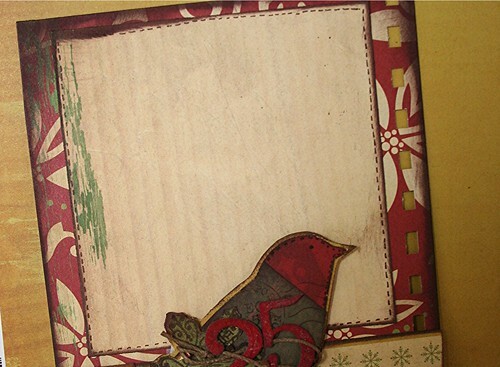 Make a 4 square pattern to the right side of your Yuletide paper. 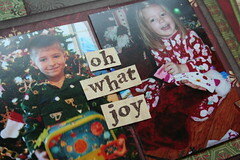 Now, when I added my photos, I trimmed them to 2 x 2 and then added a very small cream mat around the edges to make them pop. My photos are a bit dark, and really needed a little extra lightening. Yours may not need this. I also turned one square into a journaling space, rather than adding a fourth photo. We’ll discuss adding pictures more in the last class. 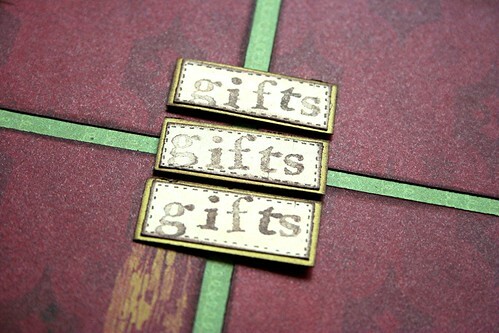 I used my letter stamps to add the word “gift” three times down the center. I adhered them in the center with a dimensional adhesive so my photos slip right underneath. Make sure that you add the faux stitching! I don’t have an exact measurement for these- I stamped, then trimmed around the stamping, so each word square is a millimeter or two different, depending on how straight I stamped the word that time. I matted each word with a little gold paper. Coming VERY SOON: The whole kit and caboodle, from front to back, with pictures and some wrapping it up commentary to get you on your way! This year I got to try out the new personalized M&M’s. I had so much fun creating a gift for my parents! I sent them a candy machine filled with red and green M&M’s that read We Love Grandma and We Love Grandpa on one side, and my kids’ names on the other. It arrived very quickly and very well packaged, and was something nostalgic and personal. I definitely give this treat a high review! They were a big hit! 1 Comment on Love Me Some M&M's! I’ve been thinking about my approach to life lately. I am a planner. I am a someday-er. I am a person who frets about getting all of her ducks in a row for tomorrow, forgets the old cliche about the present being a gift, and replaces that embrace life optimism with neurotic worrying. Now, I am getting better about this. I think that after life happens long enough you learn exactly how little control you have over circumstances. You make the best choices you can with the resources that you have available and you exercise hope and faith in a loving Higher Power that it will all work out to benefit you somehow. Learning to let go is important. I am loosening my white knuckled grip. I have been trying really hard to focus on enjoying the process that life is, rather than enjoying the outcome. Spending nine months saying, “when the baby arrives, I’ll be happy” or “when my husband returns from deployment things will be good” is a grand way to waste several months that could have been filled with adventure and appreciation and beautiful experiences. Now is pretty good, and we cheapen it when we ignore it. Now can be a time filled with gratitude- even if your now is completely awful, and you wish it would just pass already, there are so many tiny miracles that can be recognized. Christmas was one of those times for me. It was hard to do the holidays without my husband. Not only was it our first Christmas apart, but it was also the first Christmas with no plans with extended family. The burden of holiday merriment, cooking, cleaning, Santa magic, and everything else fell to me, and I’m sure most of you are well aware that it can really feel like a burden and not like a joyous celebration of the Savior’s birth. Sometimes the sadness that comes from missing special people around the holidays is a little too much, and I admit that on Christmas I got a very short, timed phone call from my husband and then hung up and burst into tears. 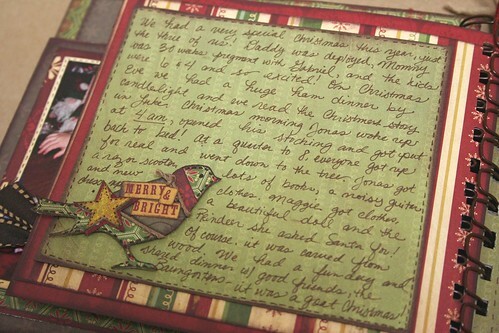 I just wanted him home and I wanted Christmas to be perfect. Blubber, blubber, pregnant hormone soup, and boo-hoo some more. The funny thing is, we had a great Christmas. Because I was overwhelmed, I got a little choosy about what I did and didn’t do, and I tried to focus on just the things that would make the kids happy. They are 6 and 4. They do not care that I didn’t spend hours making all of the traditional Norwegian dishes that I was craving. They didn’t even notice that I went for nearly a week without sweeping underneath the dining room table, and if they did, they didn’t judge me harshly for it. They really, really loved eating our big Christmas Eve dinner by candle light and drinking Martinelli’s from stemware like grown up, fancy people. They will recall that Mom sat them down before bed and read the story of the Savior’s birth because it was important to her. 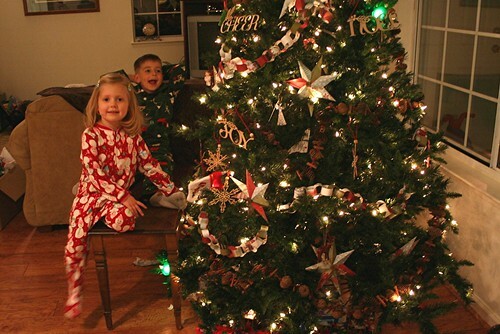 They were overjoyed at the sight of the tree and the presents. 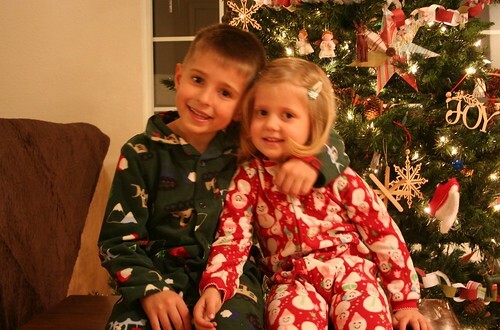 There were many typical Christmas things that simply didn’t happen this year, but the only thing they missed was their Dad, and that was totally beyond my control. I really think that despite my limitations and expectations, we made the very most of Christmas, and we really did have joy in the moment. We did make this goofy little gingerbread house. Normally, I would have gone all out and created it from scratch, but I was out of energy and when I saw a pre-made box promising lots of candy and easy assembly with perfect results, I went for it. Lots of candy turned out to be the understatement of the year. Easy would have involved frosting that didn’t run like Elmer’s glue. Perfect? Oh not even close. I was getting irritated. 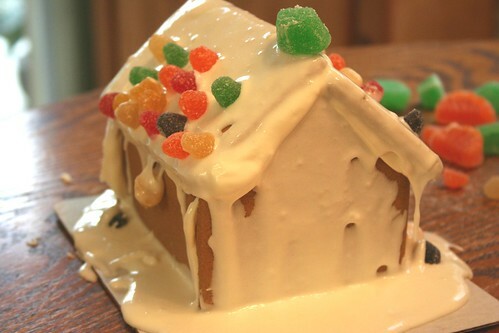 Jonas was frustrated that the gumdrops were sliding right off the roof. But Maggie wasn’t. Maggie was completely enjoying the experience. 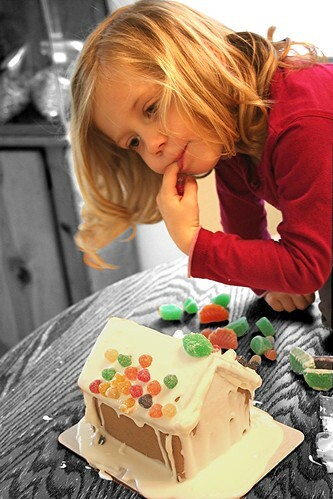 She loved the colors of the gumdrops, the taste of the frosting, the silliness of the drips, and her excitement made me quickly see that this was not something going wrong. This was something that wasn’t as I expected, but something that could be embraced and enjoyed. I want to spend more time in this coming year loving what I’m doing. I want to be less worried about someday, and more enthusiastic about the moment. Perhaps the Air Force will move us and we’ll have to leave this big, beautiful house we finally got into. I want to embrace a move and expect good things and good people where ever we end up. Perhaps this baby will be just like his brother and refuse to sleep and think I’m a human pacifier. I want to accept the tiredness and enjoy the fact that I am holding a tiny, beautiful miracle and stroke his eyebrows and cheeks even when he screams and then appreciate it even more when he sleeps. Perhaps my husband will come home, only to turn right back around and start another deployment. I want to be able to say we loved having him home, we made the very most of it, and we are still learning and growing and doing the best we can with what we have right now. I want to be a little more optimistic and have a little more hope. It isn’t a natural emotion for me- I naturally expect bad things and feel that emergency preparedness planning is extremely wise. Even when things go right, I look at the situation and ask why and what is around the corner that will make this bad. I was told that Chris will be home early from this deployment, and while I was thrilled, a big part of me panicked and asked, “What does this mean? Does this mean something bad is going to happen with the baby or our family and we are going to NEED him home early?” I know, I’m neurotic. But sometimes life feels like even when something goes right, it goes wrong. I find myself expecting bad things more often than not, and worrying myself sick over them. It is not a good approach to life, but an understandable one. This coming year, I want to keep my attitude focused on embracing the moment and finding the joy in it. That is my goal: to live a little happier, a little more hopeful, and a little more enthusiastically. 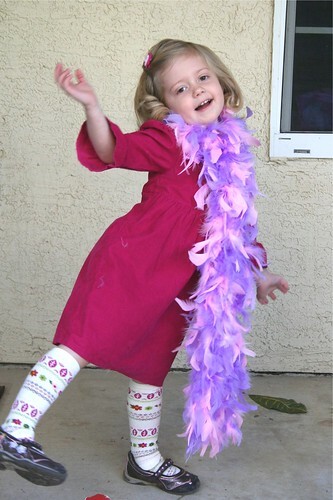 Today we were getting ready to head out and do a little post Christmas shopping, so I dressed Maggie up in her cute new pink dress, her matchy-matchy hair clippies and knee socks, and went to go get my car keys. When I called for her so we could get in the car she had completed the outfit. 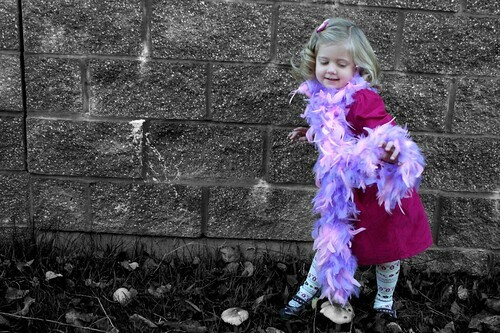 And she did look snazzy in a very “you oughta be in pictures” kind of way. She also slayed every single person, old, young and in between who saw her running around the mall today in this get-up. Ok- let’s get started! 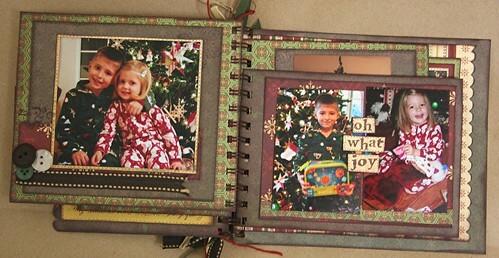 Because so much of Christmas is in photos that speak for themselves and need no obvious decoration, today’s pages (and insert) are designed with the concept of one favorite photo for each page. 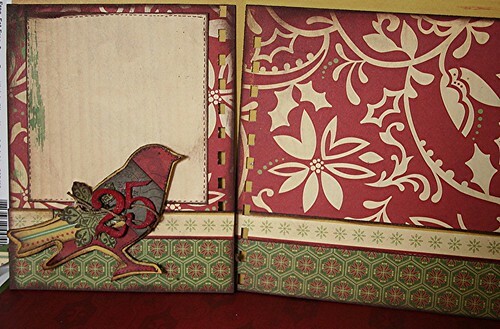 Trim two pages of Wrapping Paper to 6 x 7 and 6 x 6. 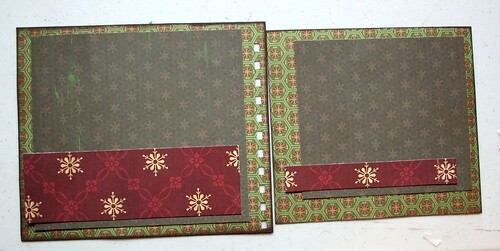 Using the back of Reindeer Games, trim two photo mats to 6 x 5 1/2 and 4 1/2 x 5. Adhere with a dimensional adhesive. Scallop the edges of two pieces of Mitten Mitten. One should be approximately 5 1/2 x 2 and the other should be 1/2 inch. I say approximately because trimming will shorten them a slightly, but it really doesn’t matter if it is off by a bit. These should also be slightly popped off your page. Run some coordinating trim along the bottom of your Mitten Mitten. Drop a few cute buttons on the page as well. Stamp some random images going off the sides of the pages. Notice how I flubbed up the first page? I had an idea that didn’t get off the runway, (alright, it kind of exploded in the hanger and mucked up my page)- BUT- it is O. K. because I’m going to put my photo smack over that weird gluey-ripped spot. Shhh, don’t tell. Many of my photos hide ugly mistakes on some of my favorite layouts. It’s ok. It’s just paper. I intend to put a 4 x 5 photo from the very edge of the smudge over, and the ribbon will overlap the photo. I didn’t give it it’s own mat, because I thought it would be too much. Similar concept going on over here on the clean side with no mistakes. Now. 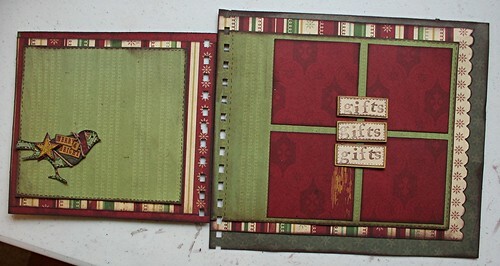 Everybody always has too many horizontal 4 x 6 pictures they need to find homes for, right? So, we are going to put a little bonus page smack in between these two pages! It is identical on both sides. Side deux. They are twins. 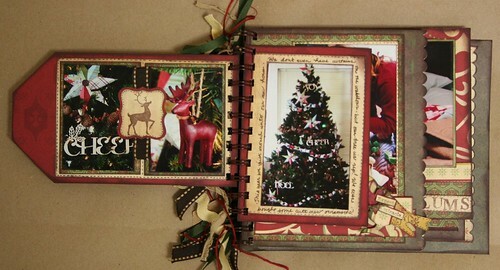 Trim your middle page (Reindeer Games) to 5 x 7. Now trim your Mitten Mitten mats to 4 1/4 x 6. Adhere them with a dimensional adhesive. You will be able to put a 4 x 6 pic in that spot with only a teensy bit of trimming first. Run a half an inch strip of Wrapping Paper just above the bottom of your mat. You can choose to put this over or under your photo- whatever works for you. Now, flip your middle page over and repeat. Super simple. I have been focusing on the kids and festivities the past two days- the children are wound up beyond belief and I am so glad that Christmas morning is in only a few hours! We had a candlelight Christmas Eve dinner, just the kids and I, drank Martinelli's from stemware, and then the kids gave me the most fantastic Christmas gift of going to bed at 6:45! For the first time ever I was able to follow doctor's orders and put my swollen feet up for an hour! 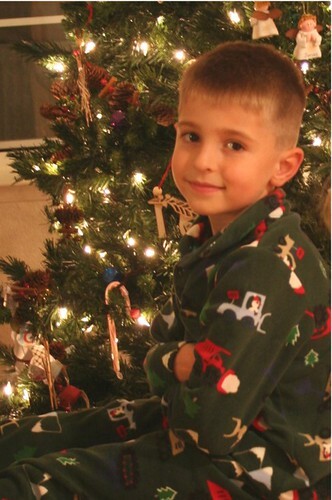 The stockings are stuffed, the tree is lit and arrayed with presents, and the Christmas story has been read. Time for me to go to bed! 8 Comments on Merry Christmas! This was originally going to be three ornaments for my tree. But as I got going I suddenly had this vision of how cute they would look all strung together in banner forum and hung across my piano. 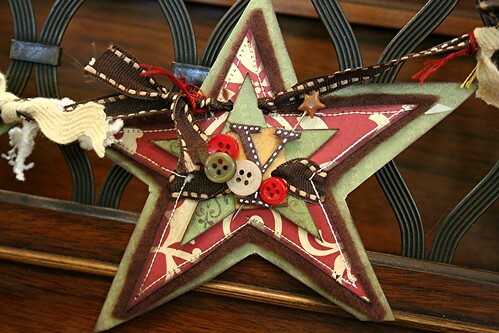 These were simple to make- I cut out a star shape, a smaller star shape and layered them together. 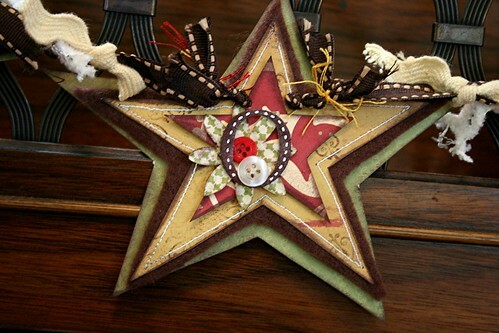 Then I sewed those two to a piece of brown felt and cut out the shape, and then cut out a larger green star behind that. 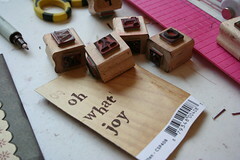 I just threw a bunch of buttons and the letters J, O, Y in the centers, tried to keep it fairly simple. I punched some holes through the stars and strung them together on pretty ribbon. 22 Comments on Joy Banner! I am not so good at the no-flash photo taking in the low light. 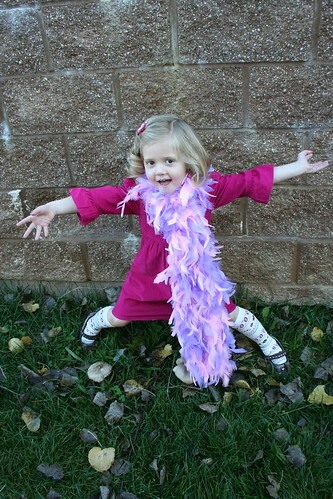 I used a tripod, but I think when you have wiggly children, all bets are just off. 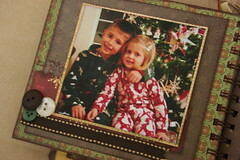 However, they are cute little blurs, so they get blogged. 1. I am a little shocked at the number of entrants for the Cosmo Contest! Holy cow! You should see my e-mail inbox! I mean really, WOW. 2. Maggie has come down with a stomach bug, and it has hit her violently. It seems to be short, but she’s pretty wiped out and went to bed at 5 o’clock this evening. Poor thing. Now I’m just hoping it skips the rest of us. 3. Some jerk uploaded a bunch of nasty code to the military base internet server where Chris is stationed and crashed the whole system. No news on whether this was a terrorist or a stupid military person, but it has messed over any e-mail communication for our family (and many others) for Christmas. No pictures, no messages. And now everyone is clamoring to use the phone, so that is a trickier option as well. Bummer, and so sad for the holidays. 4. I ordered curtains, and they sent the wrong ones. It took 3 calls to the 1-800 number, a mall visit on the Saturday before Christmas, 2 managers, 1 associate and 35 minutes at the store counter with a growing mob of irritated shoppers behind me before they could properly refund me and re-order the correct items. Seriously. And they ended up refunding me in 4 different increments and charging me again with one charge, so now I have to watch for 5 items to go through on my bank statement and hope they didn’t mess it all up and screw up my finances. I’m worried. And without curtains. 5. I wrapped my gifts today. It feels really good to have that done. I had to lock myself in an upstairs bedroom and let Jonas stay up way too late watching a Christmas movie to pull it off, but I got it done! Woo! 6. It hit me today that it is only 4 days until Christmas. . .and I have baked nothing. Usually at this point in the year I have quite the goody stash and I’ve taken plates to all of our friends. I don’t think that will be happening this year. 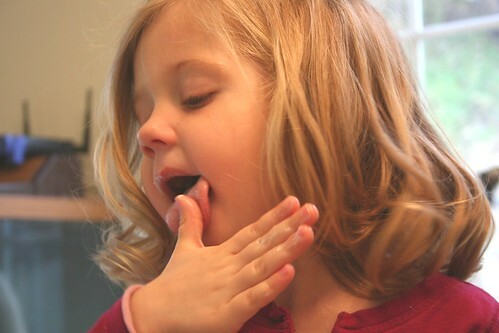 Between the move, the croup, Maggie’s party, work and now this tummy bug- I’m scrambling. I’m hoping to bake one thing each day between now and Christmas. 7. 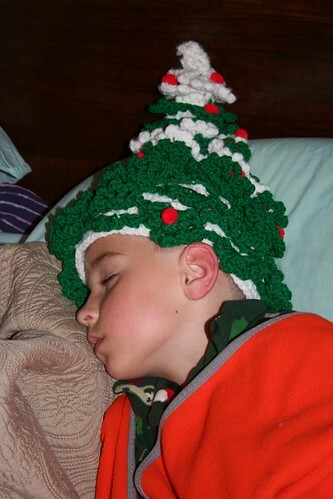 Do you remember those crocheted Christmas trees that you put over styrofoam or cone shaped paper? My mother sent one in our Christmas box this year, and both of my children are convinced it is an elf hat. I found Jonas fast asleep like this the other night! 8. If you expect to get a Christmas card from me, expect to get it late. I’m just sayin’ – I tried. I really did try. But only 2 or 3 are filled out and I think it is going to be one of those years where I just send to grandparents who lack internet. Christmas has caught up with me big time. 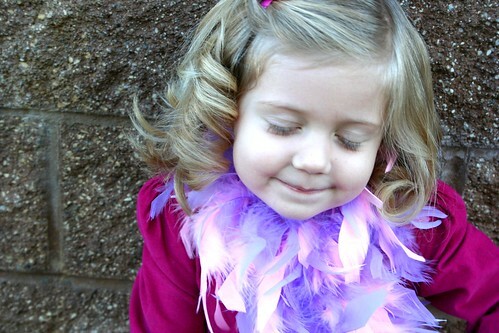 For the rest of my family, may I direct you to my flickr account where you can see what we look like? Hi, Merry, merry, Ho, ho, ho, Christ the Savior is born, so get rejoicing. This is your Christmas card. For those who sent me cards, thank you. Really. All the cool mail has been the highlight of my kids’ days. 9. Holy Cow I’m Having A Baby! I have been so BUSY I kind of forgot that I’m huge for a reason. This is great because it means that I have been feeling incredibly healthy, but with everything going on, and all of the things to do, it really hit me over the past few days that if this little guy shows up early like the other two, I could have a baby in 6 weeks! 6 weeks is not very long! This is the first time I’ve ever been pregnant and thought, “Oh that’s ok, we can just leave him in longer”. I’m a little overwhelmed. The baby has 5 cloth diapers and 2 outfits. January is going to be baby month, I guess! 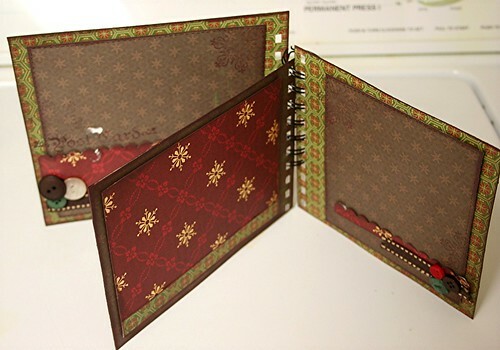 Christmas Mini Album: Pages 7 & 8 – PLUS $150 Give-A-Way! Welcome to pages 7 & 8! 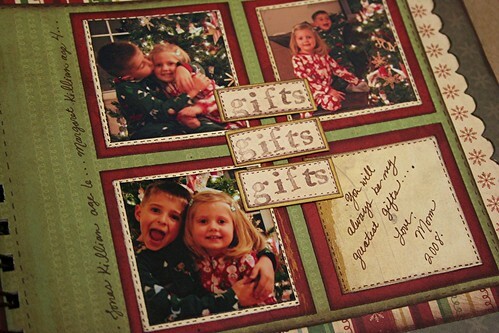 These are a little bigger and fun- they leave you tons of room for a nice 4×6 or 5×7 of your favorite horizontal photo, as well as space for journaling or a smaller accent photo! (Instructions for the whole project can be found right here). 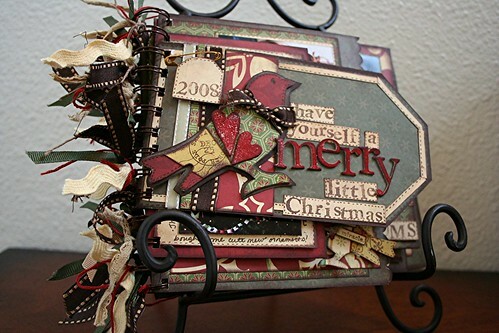 Trim your Yuletide paper to 5 x 6 inches. Add a strip of Wrapping Paper 1 1/2 inches accross the bottom, and then a strip of my favorite bit of Merry & Bright- the green snowflakes! Make sure to leave a little color from the top and bottom of this strip for contrast. Cut out some Mitten Mitten at 3 3/4th x 4 inches and use it as a photo mat or journaling space. 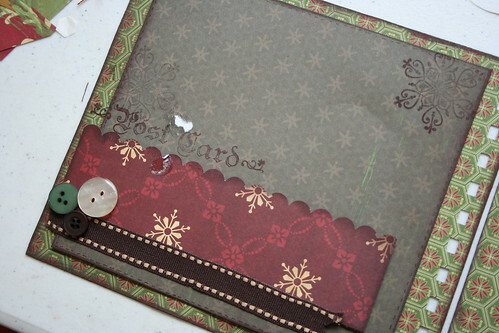 Add some faux stitching around the edges for an extra little frame. Adhere your bird with a dimensional adhesive. 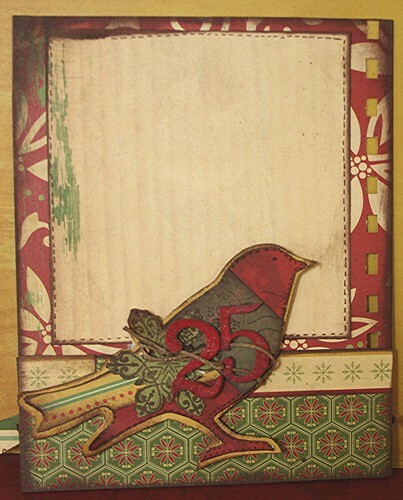 To add to this bird, I cut out a shadow to go behind him, added a stamped shape, grunge board letters and some twine. He is festive and ready to party Christmas style! 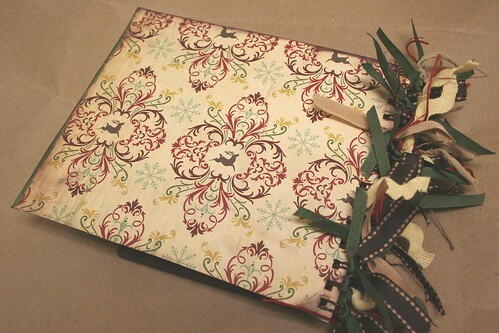 Trim your Yuletide paper to 6 x 7 inches, and repeat the bottom layers as you did on the smaller page. Ink all of your edges. Wow. That was an easy page! On this page, I would recommend showcasing one large, horizontal favorite photo. Depending on the size and crop of your favorite picture you could keep it all on the Yuletide, or overlap onto the Wrapping Paper. You could also show off two smaller vertical photos if that suits your purposes better. This is where your own creativity comes into play. Now, who wants to win some Cosmo Cricket? To be more specific, who wants to win $150 worth of Cosmo Cricket? 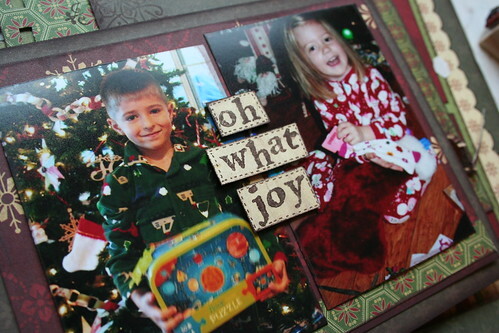 Who wants to win. . .”Oh Joy“, “Chemistry“, “Haunted“, “Little Boys“, “Little Girls“, & “Cogsmo” paper crafting kits with stickers and die cuts? 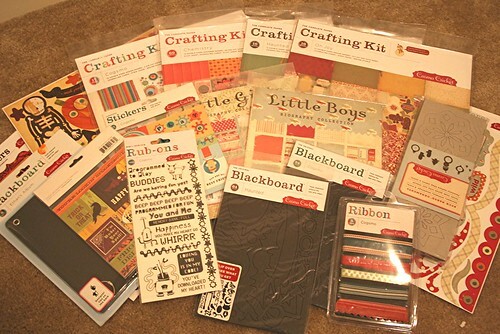 Who wants to add 2 packs of blackboard (Haunted & Cogsmo), some ribbon, several sheets of several types of different stickers, a blackboard mini album and rub ons? You? Would YOU like to hit the Cosmo motherload? Come January 5th, my totally unbiased children will pick the winning name out of a bucket and that person will find their mailbox overflowing with Cosmo Cricket, and their New Year off to a very scrappy start!